Once more unto the breach. my friends! This year’s Night of the Golden Blazer is our Sixth and best. 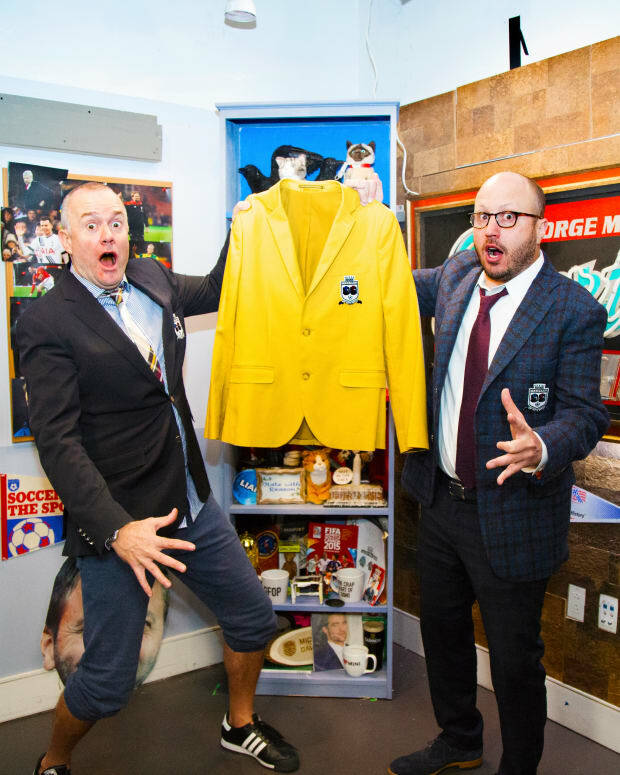 The night on which GFOPs fly in from all over the country to join us for the most important Blazer presentation in sports that does not involve a golf cabin. 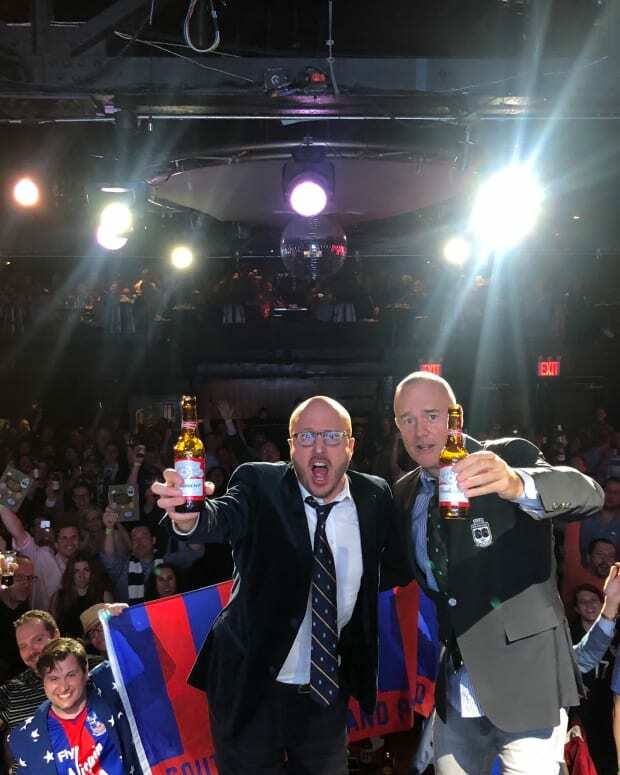 The event, which has become one of my favorite nights of the year, honors an individual whose distinguished service and unrelenting passion have left an indelible mark on soccer culture in this great nation. LOCATION: The rather fancy Skirball Center for the Performing Arts, not far from the Crap Part of SoHo, just off Washington Square Park. A venue which clings close to James Baldwin’s dictum, "artists are here to disturb the peace." The Conclave of Blazers hath convened and we promise you, the person selected to join the esteemed gaggle of past winners will be cheered far and wide. This year&apos;s is, quite fantastically, a true American hero. To celebrate a legend of the game in this country, in our hometown, with hundreds of GFOPs. The mere thought of it makes the hair we don&apos;t have stand on end. So join us and a slew of special, special guests for a night of football, song and, mostly importantly, pie. And, as they have done in past years, Proceeds from the Golden Blazer go to the decidedly optimal Hope for the Warriors. We cannot wait to be with you for this night o&apos; nights. In honor of THE SIXTH ANNUAL GOLDEN BLAZER, we present Great (Least Crap) Moments of Golden Blazers past, starting with Big Sam&apos;s message for 2017 winner, Rebecca Lowe.